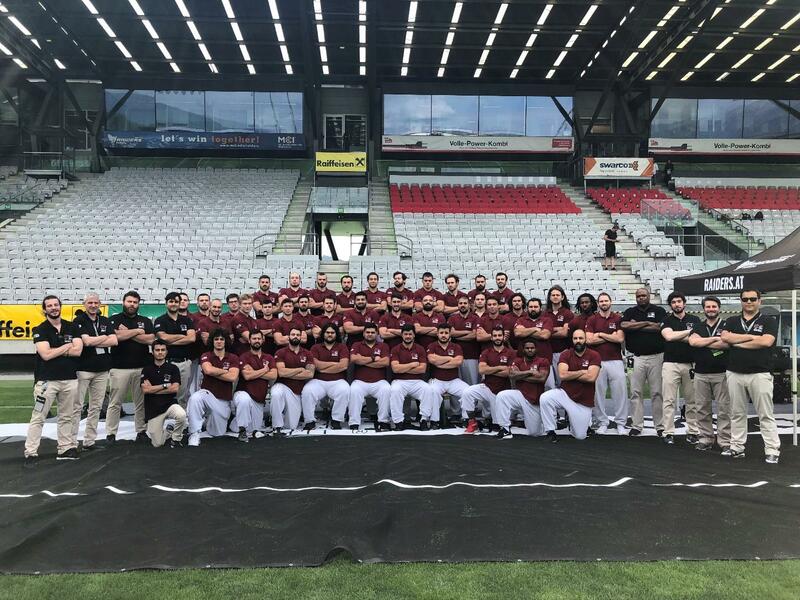 The Istanbul Koç Rams entered the international stage as a major surprise – given the fact that they managed to beat Sweden’s powerful Carlstad Crusaders (at the time IFAF Europe Champions League champs) and move to the Final Four. 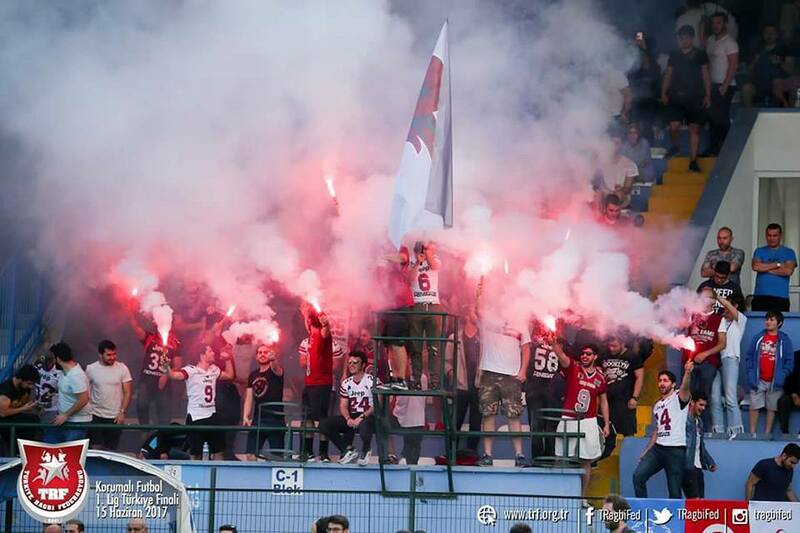 Later on, Istanbul joined the CEFL, and are the only organization in the Central European Football League whose base is an actual university. Rams’ Emir Can Kefeli helped us on this one. Enjoy! The Koç Rams were established in 2004, by the Koç University students. Recruiting was among the university students and also from some close friends of the students. It was the first time in Koç University history that they had an American Football Team within the university, and it was not easy to set things right in the beginning. However, with the outstanding effort and financial support of the students, the team had a solid base that will last for the future. In the beginning, we did not have any external support, neither from sponsors nor from the school, until success started to come. In 2006, after the continuous dedication of the players and through the support of our university, one of the Koç Holding companies, Aygaz AŞ, decided to support our program to buy new equipment and also to help with our away game expenses. Players were paying for these expenses by themselves before this sponsorship. Acquiring our first equipment was both a struggle and excitement. For the first several months of training, we played on the mud and snow with no equipment or just with homemade equipment. As a result, our players were under a heavy risk of injury but their love for the game and the brotherly bond between the players kept us going. Our first equipment was from the U.S. and arrived only after three months we established the team. The equipment we brought from the U.S. was second hand and very outdated. So much that when we watched the movie Remember the Titans, we realized they used the same equipment we were using. That’s how old the equipment was, however that was what we were able to afford. Each player paid for the equipment and made financial contribution. So, it was a big commitment for everyone, a commitment of time, sweat and tears among other things. Helmets that came in were in a variety of colors and models. The league did not require the helmets to be in the same color back than however our vision was different. Therefore, we wanted to paint our helmets in our color, maroon, however it was a big struggle to find anyone to paint helmets. As a result we took our helmets to a car garage owned by one of our players and painted them in maroon with car paint. All designs, strips and logos on helmets were stickers, which were prone to wear and tear due to contact and make no mistake we loved and still love playing contact football. It was the same for our jerseys and finding someone that can provide us with jerseys was not possible. Therefore, we designed our jersey and had to visit several (a lot of !!!) sports equipment providers to get the jersey manufactured. At first, none of our players had any experience playing football and the fields we played were far from today’s football fields. We are aware that we use the word “mud” a lot, but as you can see below, we were covered in mud all the time. We used to play in a standard football (soccer) field with no lines for American football. We had no goal posts neither and every game required a lot of work preparing the field to make it look like it was an American football field. 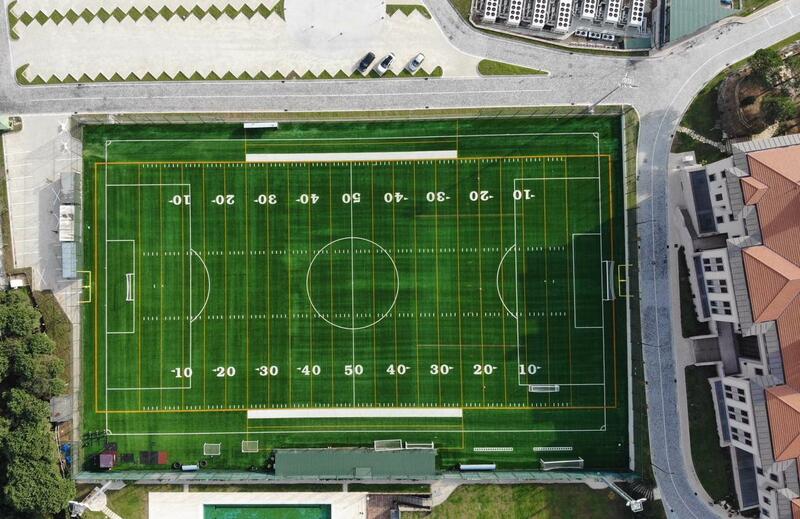 There was even a time where we had to use a synthetic turf field 15 kilometers away from the school to practice and even play some of the games. At least there was no mud, but it used to cost a lot for a team that was recently established. Looking back and comparing those with today, we are very happy and proud of the transformation and improvement. To this day, our players and alumni keep their old equipment as those were the equipment that got us started on the track which led us to several undefeated championships and international success. Between the years 2004 and 2006, we participated in university league organization as there were no federation to organize a national league. There were two leagues consisting of Istanbul and Ankara university teams, and we were competing in Ankara League as our Head Coach, Koray Şahmalı, was a graduate student from a university in Ankara. In our first season, we only had 4 games, and our first ever game was against the team that was undefeated in Turkey for 10 years. The score of this game was 0 to 78, but we were so excited and thrilled to be able to have a full contact game after a short period of practices with our equipment. We managed to score our first touchdowns in our second game, which was against another Ankara team. In our first season in 2004, we had 3 losses and got our first win in our last game. Practicing 3 times a week under heavy weather conditions, we did not have that much trouble to keep the players together with the level of commitment. Bond and brotherhood among the players continued to strengthen with time and the ambiance of the team. Our first camp at the university also connected our players helped to include more students from the school. Each team has its own character starting from locker room. A good team bond reflects on the field and shapes what you do out there during games. Our character is shaped by a very strong friendship and brotherhood combined with quality leadership. 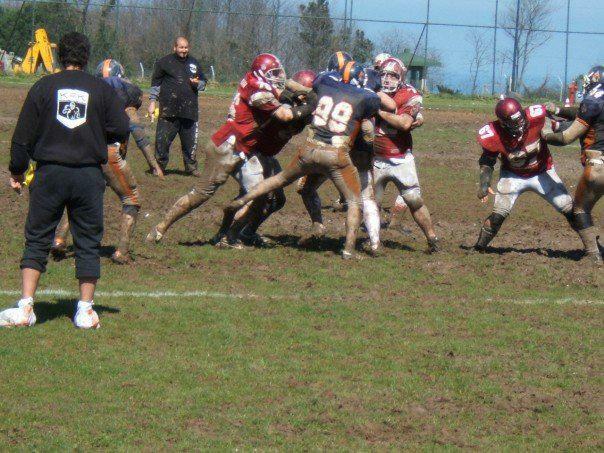 When we started playing, we were playing on the mud and snow all the time and this led us to playing more of a running game instead of a passing game. With this, we learned to move together, we ran, hit and blocked together as a single organism which requires a very strong bond, both in and out of the field. Also, we believe that this bond is the essence of being a team that used to comprise of students. Our classic ritual, which we continue to this day was team lunch after practice on Sundays. Our training ground is located in Koc University’s campus, which is while very beautiful, is located in a distant calm area of Istanbul. So, there were not enough options for having lunch. Therefore we, with 40-50 players, drove about 10 kilometers every Sunday as a convoy with around 10 cars to have team lunch in the city. That was the beginning. After several years, we started to have team camps outside the city, which helped a lot for strengthening the bond among players. We still continue this practice which we believe helps a lot. As a result, it was both a team and individual effort and commitment. Every player had a huge amount of respect for one another and this respect turned into a beautiful brotherhood, which still reflects on our alumni and players. Throughout the years, we had several obstacles in our programs that we had to overcome in time. Every obstacle connected our players more and more. We had several plans in our minds to create an environment that will help the community at some point; however, we did not have the necessary help and manpower to make it happen. With the new vision of our football program in 2012, we have decided to reorganize our football program to be able to compete in Turkish and European Leagues. First step of our reorganization was to bring in high caliber American import players and also an experienced American head coach. This step has changed the program entirely and helped us to build U19 men’s team and women’s flag team. We planned to increase the awareness of American Football in our community with this move, that would also help us to gather more attention and players from our society. Our goal was to spread the joy and discipline of American Football among the young ages within our community. After establishing a solid youth program, we are planning to form flag teams in high schools and even for younger ages. Thanks to our efforts together with the federation and other teams, our final games in 2017 and 2018 were aired on live television in the largest state owned sports channel TRT Spor and on BeinSports, which is the channel where Turkish Super League (soccer) games are aired. Support from the Koç University and sponsors has increased a lot through the years. There’s a bigger audience and more awareness for American Football now, as we are playing to a minimum of thousand people in our games. Istanbul is a populated metropolitan city that has no resources to support amateur sport branches. Therefore, all the teams in Istanbul should generate money and support themselves, which is getting harder and harder every day. To be able to become a recognizable brand, we had to make a long-term marketing and sportive plan and had to stick with them. It is now easier to acquire better players from the city after dominating the Turkish League for 3 consecutive years. Another attention point was to be able to compete in highest level in European Leagues, which was among our first goals. Running an organization requires commitment and a strong bond between one another. Professionalism and structure, which we have been working on for several years now, are also important things to have to transform an non-professional college team found by students to a professional team that plays for championship every year without question. With every year we have learned new things both on coaching and management. We believe the most important qualities a team must have are good players, good management and good coaching. Our players handle the “good players” part very well, so we do not have to worry about that. We have been very lucky with our coaches as well over the years which we owe a big gratitude towards. Our job as management is bringing in good coaches, good players setting a happy and rewarding environment and make sure that this improves every year. We understand that the biggest strength a team management can have is to recognize mistakes, so that we can take action to correct those mistakes. For this purpose, we organize an annual workshop every year, where our management and alumni attend to discuss the previous season, recognize weaknesses and strengths and have 3 year plans both in terms of finances and organization. Throughout the years we transformed our team from a college team to a professional team by recognizing mistakes and having the courage to face those. Today we are very proud where the team stands now but our work is only partly over. Our aim is to stay as the champions in Turkey, have more wins in Europe, send more players to Turkish National Team and continue to be an example for teams in Turkey both in terms of success and organization. 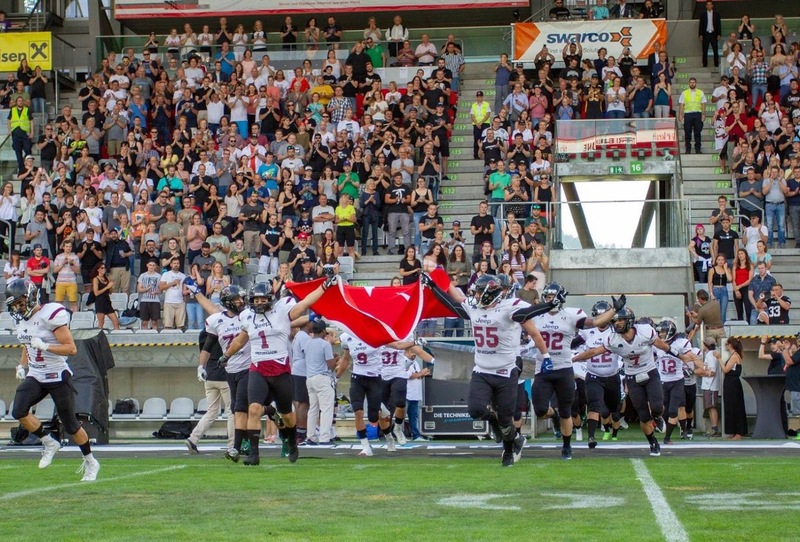 Disclaimer: This article is done as a partnership between Central European Football League [CEFL] and Touchdown Europe [TDEU], with the respected organizations participating in the CEFL 2019. Media outlets can and are encouraged to re-post this article on their websites/blogs, as long as the disclaimer above is used. Thank you for respecting author rights. Read the original article from Touchdown Europe here.